You very well may have heard of rapini, a member of the turnip family that looks like tiny, leafy broccoli with small yellow blooms. Popular in Italian cuisine, it fairly recently made its way across the pond. 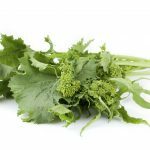 Rapini is often called broccoli rabe here, so you may have heard of it by that name too, but how about napini? What’s napini? Napini is sometimes called kale rabe so you can see where this is starting to get confusing. Don’t worry, the following kale rabe information will straighten it all out, plus tell you about napini kale uses and how to grow your own. Kale is a member of the brassica family which includes broccoli, Brussels sprouts, cabbage, cauliflower, and even radishes. 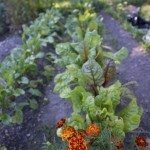 Each of these plants is grown specifically for one particular characteristic, whether it’s for its tasty leaves, edible stem, peppery greens, or spicy root. Even though a specific brassica crop is grown for a select characteristic, sometimes other parts of the plant are edible as well. So, kale is generally grown for its nutritious leaves, but what about other parts of kale? Are they edible? 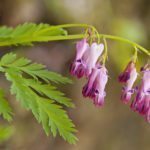 When greens begin to flower, it is generally termed ‘bolting’ and isn’t necessarily a good thing. Flowering usually makes the greens bitter. In the case of kale, flowering is a very good thing. When flowering, the stems, flowers and leaves of kale are juicy, flavorful and called napini – not to be confused with rapini. 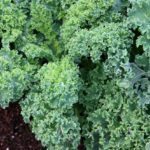 Many varieties of kale will produce napini, but there are some that are specifically bred for it. The Russo-Siberian kales (Brassica napus) are milder than their European counterparts (B. oleracea), thus making them quite suitable for growing into napini plants. These Russo-Siberian kales are incredibly frost hardy to -10 F. (-23 C.) and are planted in the fall, overwintered and allowed to produce their thick, sweet and tender flower shoots. After winter, once the day’s lengths are longer than 12 hours, napini takes off. Depending upon the region, growing napini plants may start as early as March and last into the late spring or early summer depending upon the cultivar of kale. When growing napini plants, direct sow seeds in the late summer or early fall. Cover the seeds with ½ inch of soil. Keep the seeded area moist and weed free. If your area gets snow, cover the kale plants with mulch or straw to protect them. The napini should be ready to harvest sometime in March or into the early summer depending upon the type of kale. Napini can range in color from green to purple but will turn dark green regardless when cooked. It is extremely nutrient rich, high in calcium and containing all the vitamin A, C, and K of a person’s daily allowance. Some people refer to ‘napini’ as the spring blossoms of a brassica plant. While the spring blooms of other brassicas are also edible, napini refers to napus kale buds. The vegetable is so sweet and mild it has varied uses. No need to add too many ingredients to napini. A simple sauté with olive oil, garlic, salt and pepper may be finished off with a squeeze of fresh lemon and that’s it. Or you can get more creative and add chopped napini to omelets and frittatas. Add it to rice pilaf or risotto during the last couple of minutes of cooking. Don’t overcook napini. Cook it as you would broccoli with a quick sauté or steam. Napini pairs beautifully with pasta or white beans with a hint of lemon and shaving of pecorino Romano. Basically, napini could be substituted in any recipe that calls for a brassica veggie such as broccoli or even asparagus. Read more articles about Kale.